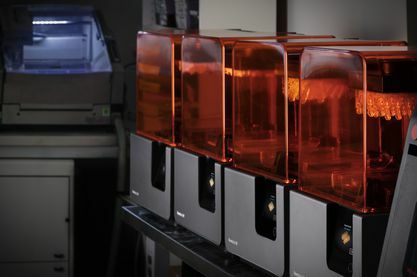 Formlabs 3D printers make high precision digital workflows accessible for dental businesses of any size. Since 2016, Formlabs has been driving a new phase in digital dentistry. 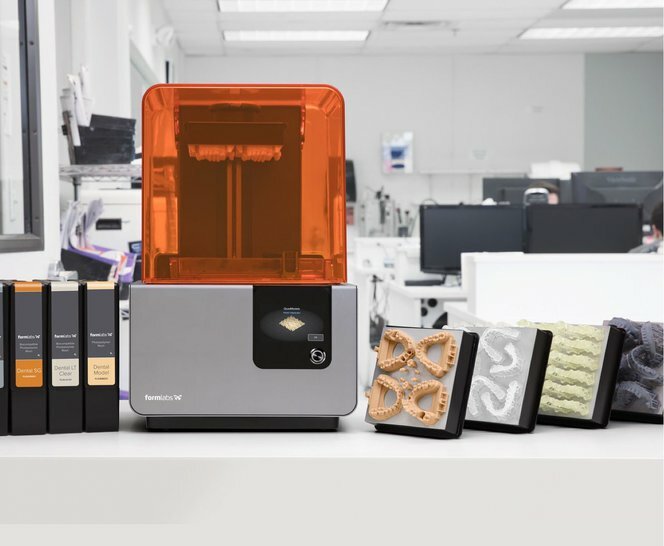 Formlabs SLA 3D printers revolutionized dental 3D printing, bringing reliability, high quality, and ease of use to the technology, at a fraction of the price. With 75+ support and service staff and 150+ engineers, Formlabs backs its products with the strongest team in 3D printing. 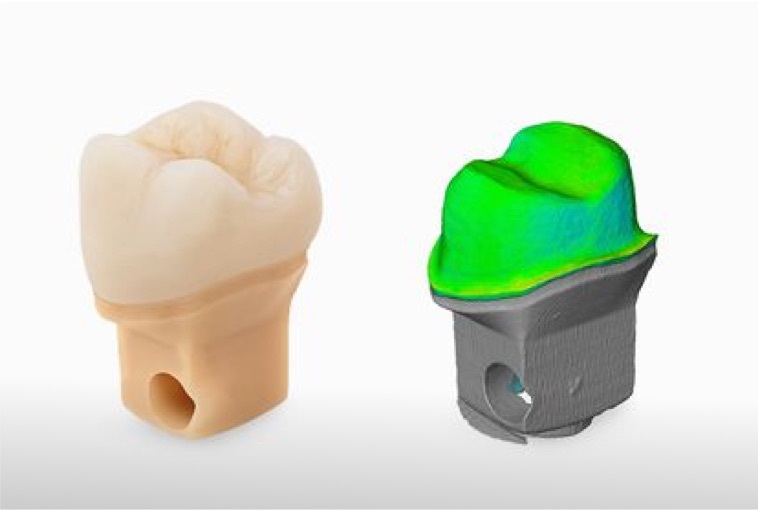 The Form 2 and Form 3 make digital dentistry affordable for dental businesses of any size, enabling cost-effective, mass-customized production of a wide range of indications. 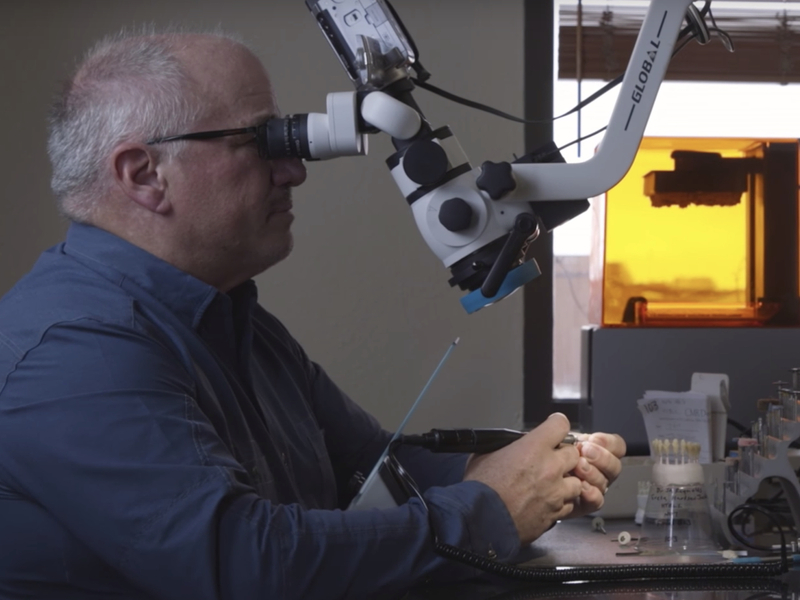 Formlabs' new flagship dental 3D printer uses Low Force Stereolithography (LFS) 3D printing that adapts to your part’s geometry to balance high detail and high speed. 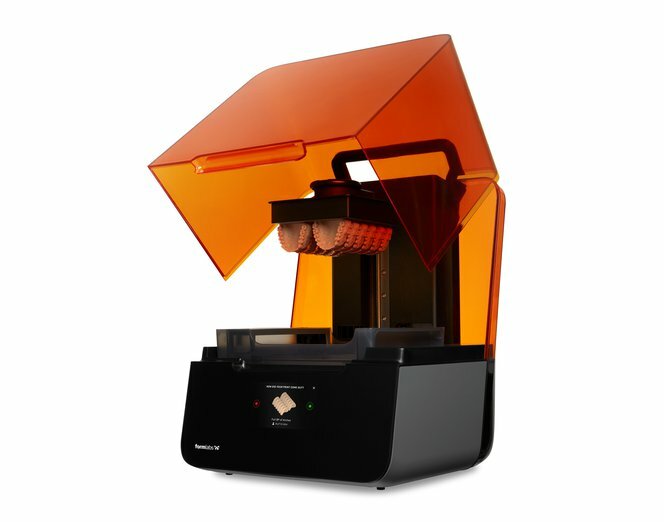 Formlabs' affordable, high-resolution stereolithography 3D printer for dental labs and practices. 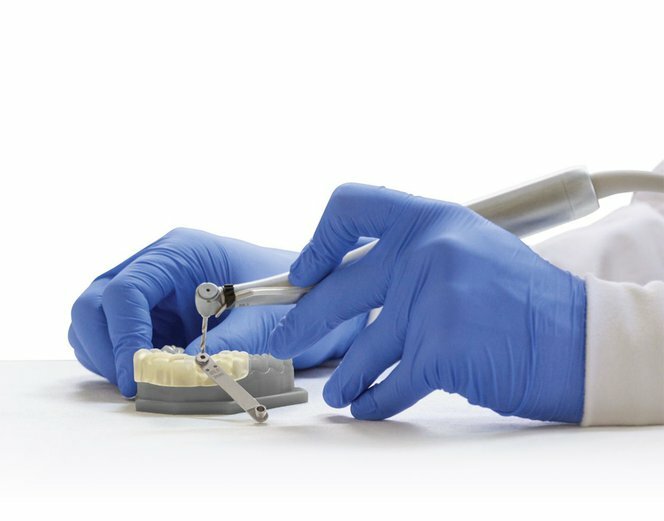 With accuracy tolerances for margin lines and die surfaces as tight as ±35 microns on Dental Model Resin, the Form 2 delivers the same precision as large-format dental 3D printers that cost $35,000 or more. Print 2-3 times more parts in a single build compared to small build plate DLP printers on the market to spend less time handling your printer and more time on high-value tasks. Production environments can see 55% less labor time and costs compared to DLP. 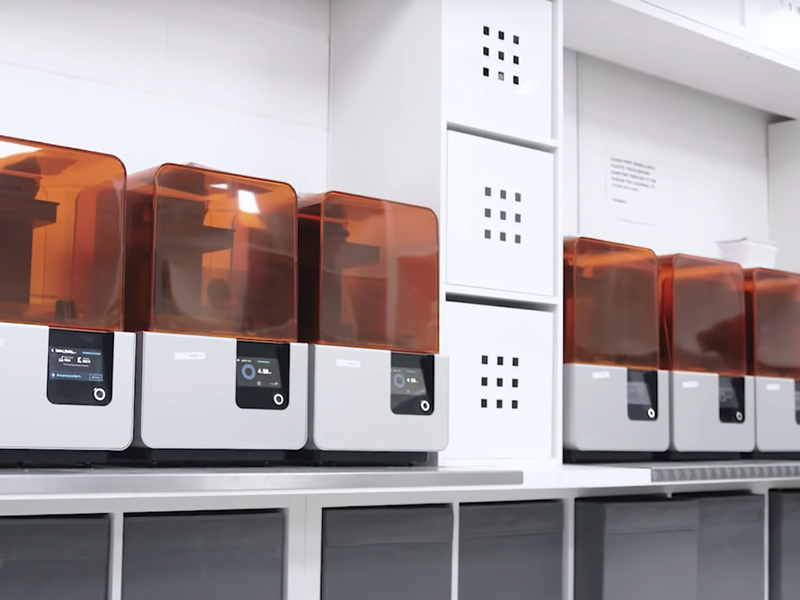 The Form 2 and Form 3 meet the needs of high production dental labs to grow; adding printers, curing, and washing systems is simple and affordable. This modularity allows for consistency, scalability, and redundancy of print production that large footprint printers cannot match. 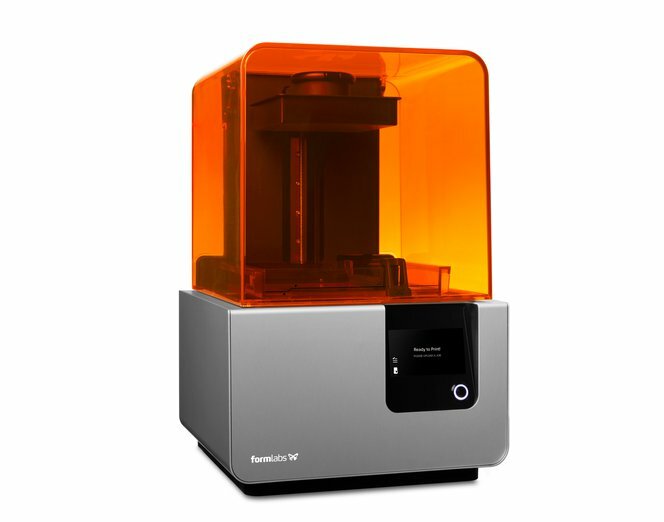 The dental industry is going through a digital revolution, and Formlabs is at the forefront. Our accessible, impactful solutions make it easy to start 3D printing–but that's not the only piece of the puzzle. Explore our workflow guides and other resources to make the rest of your digital journey as smooth and straightforward as possible. Collect patient anatomy digitally using an intraoral scanner. Send scans to the lab with a digital prescription or to a design station. Import scan data into CAD software, where the virtual design takes place. Import the designed CAD files into PreForm print preparation software for print setup and send them easily to a Formlabs printer. Wash, dry, and post-cure printed parts. 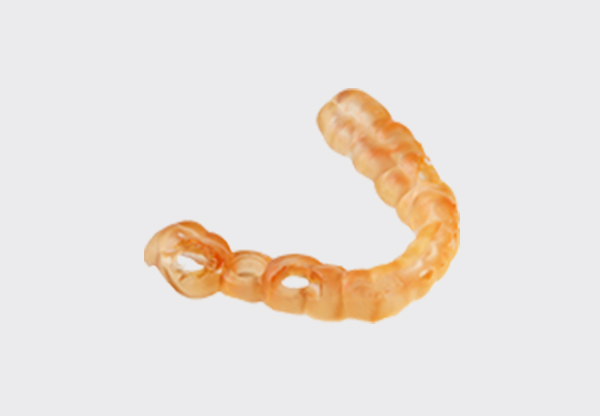 These parts can then be used intraorally or be used to produce various indications. 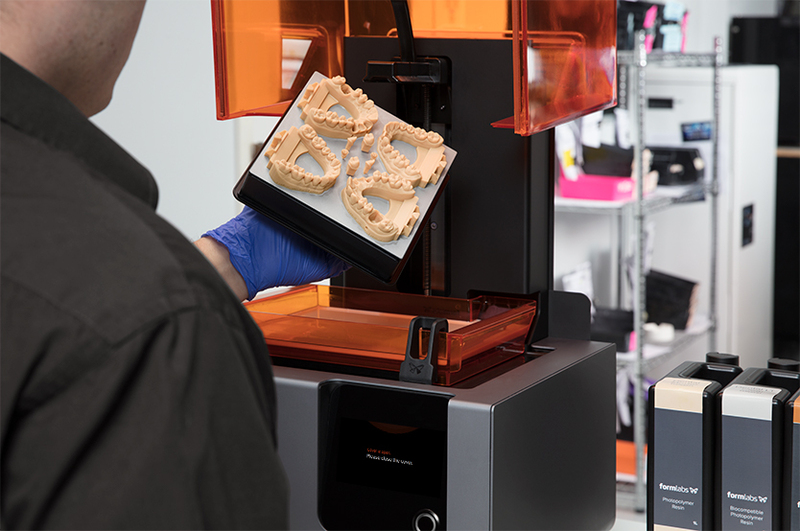 The automated resin system in the Form 2 and Form 3 enables switching between applications in under a minute, with no mess or waste. 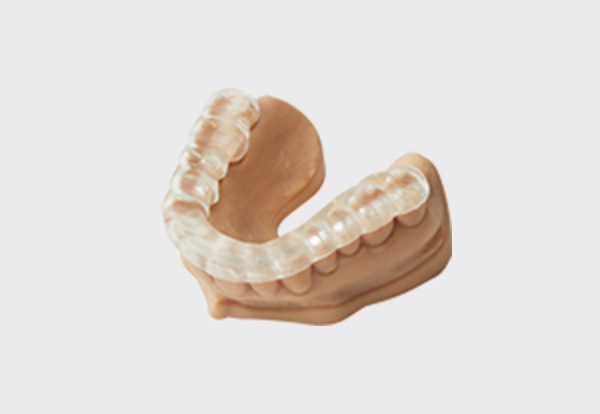 Explore other dental indications and applications that are possible on Formlabs 3D printers. 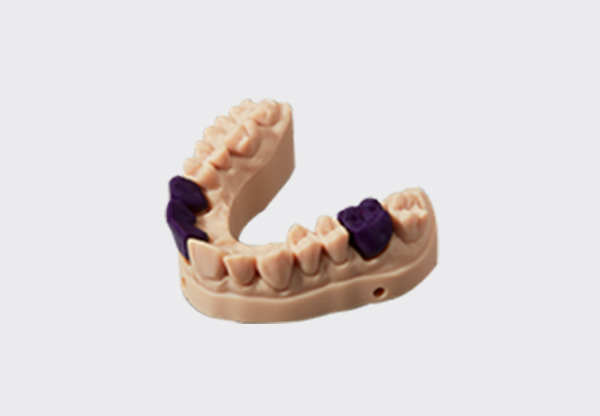 High accuracy removable die models with crisp margins, precise contacts, and consistent occlusion that look and feel like gypsum. Fast, consistent, and easy production of short horseshoe arches. 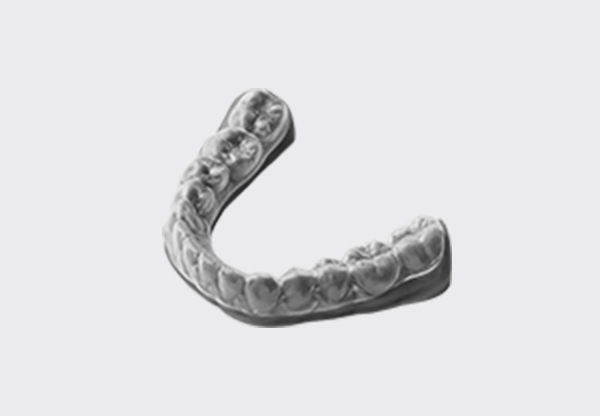 Formlabs 3D printers enable labs and practices to print clear aligner models for vacuum forming with unmatched value and workflow. Quick, high-precision implant placement made affordable. Use with standard autoclaves and drill sleeves to fit seamlessly into your regular workflow. Compatible with Form 2. Coming soon for Form 3. 3D print beautiful, optically transparent long-term splints with ISO 20795 compliant mechanical properties. 3D print highly accurate patterns for crowns and bridges, copings and substructures, and RPD frames. 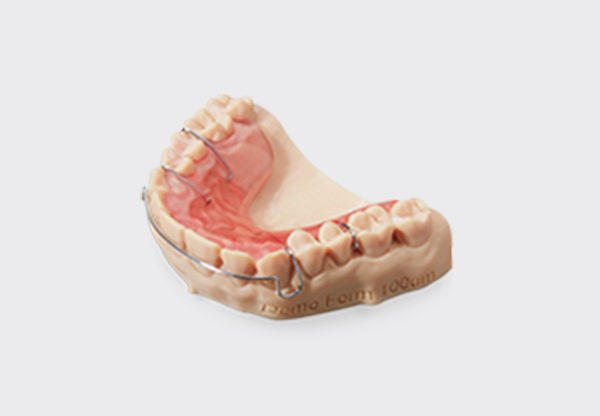 Produce orthodontic models for wire Hawley retainers to improve efficiency and reduce turnaround time. 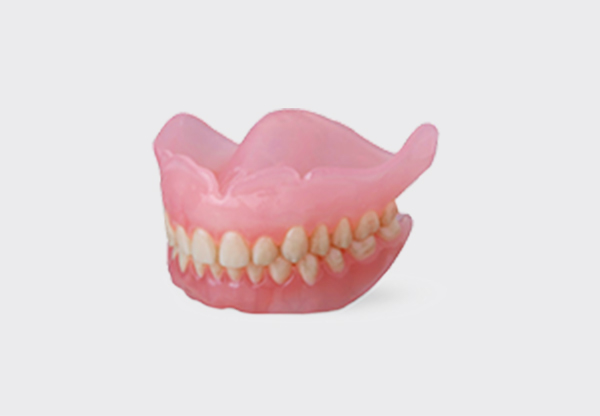 Produce 3D printed dentures accurately and reliably with an efficient, cost-effective manufacturing solution. 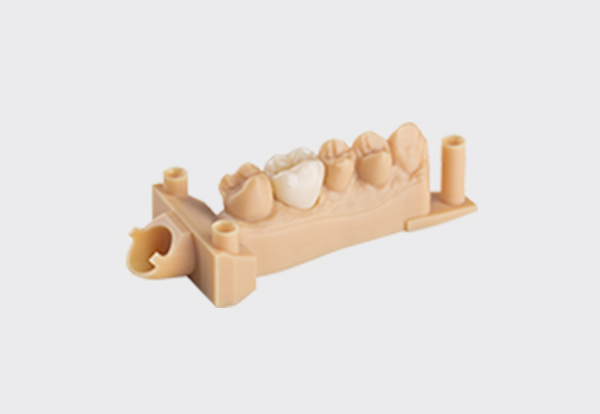 The Form 2 and Form 3 Complete Packages include everything you need to bring high precision 3D printing into your dental lab or dental office.